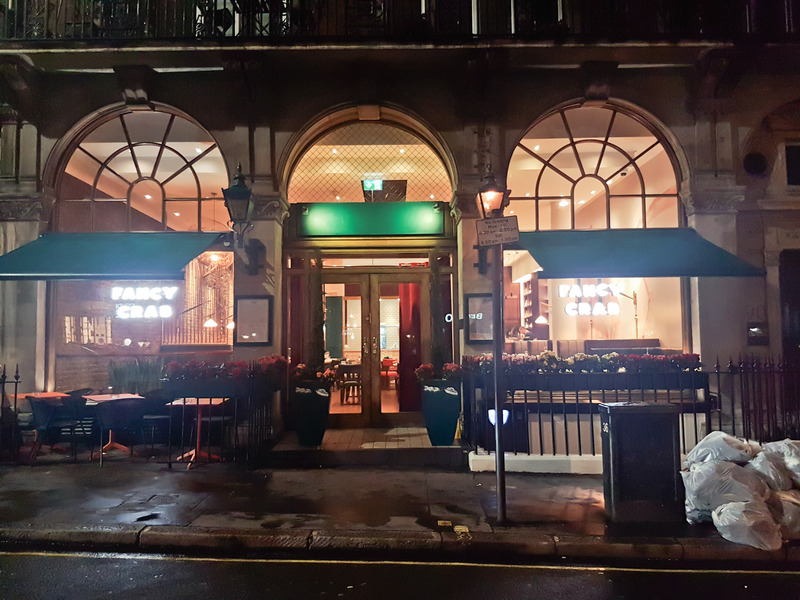 Fancy Crab is a new restaurant located just behind Selfridges on Wigmore Street. 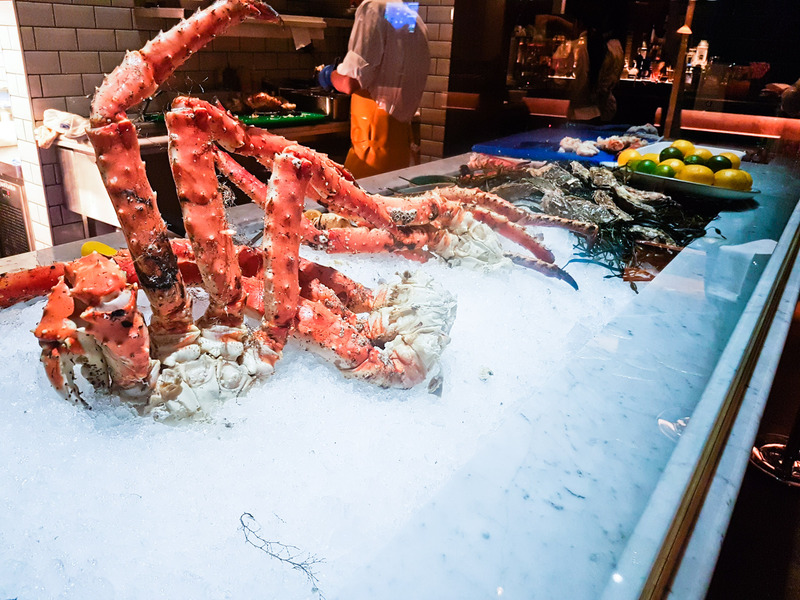 The venue is split over 2 floors, the top floor is spacious and has a large display of king crab towards the rear. My party of 6 was seated downstairs, at a good sized table with booth seating. I wanted to take advantage of the 50% off and maybe ordered a bit too much..The prices listed below are the FULL menu price. A bit of crab on a nacho. Simple, creamy.. not much to say. 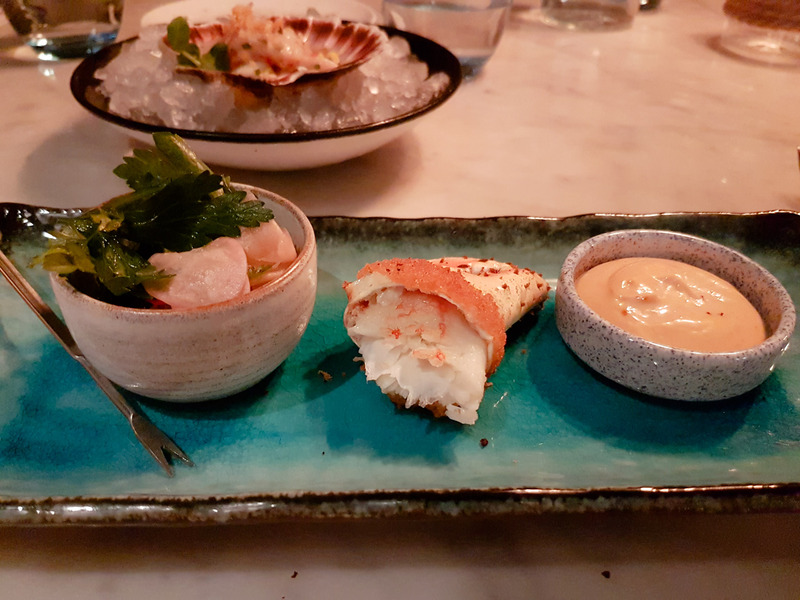 I loved this dish, I’ve never tried ceviche before, but the flavours of the lime and other ingredients really worked well. 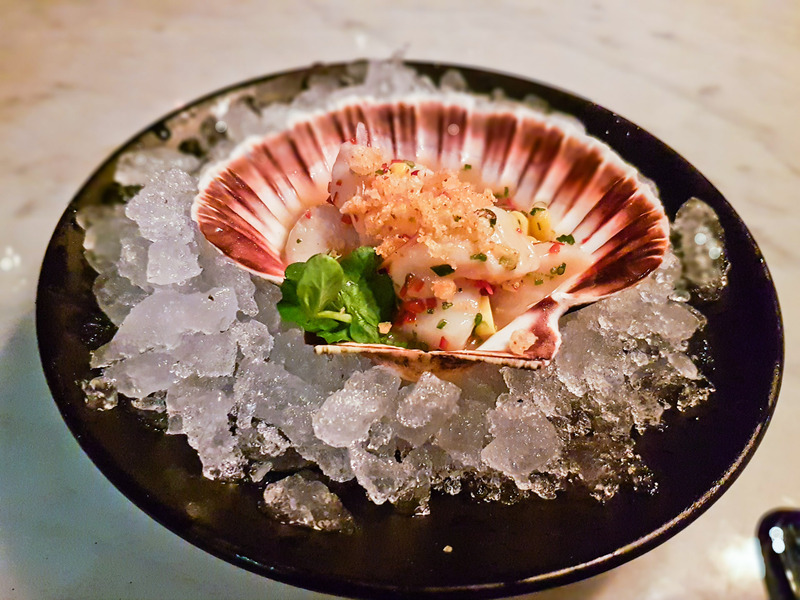 It’s basically raw scallops but cured, it was mixed with lime which gave it zingy citrus notes but also had a light kick from fresh chillies. Not much of a batter on this claw. Very basic. 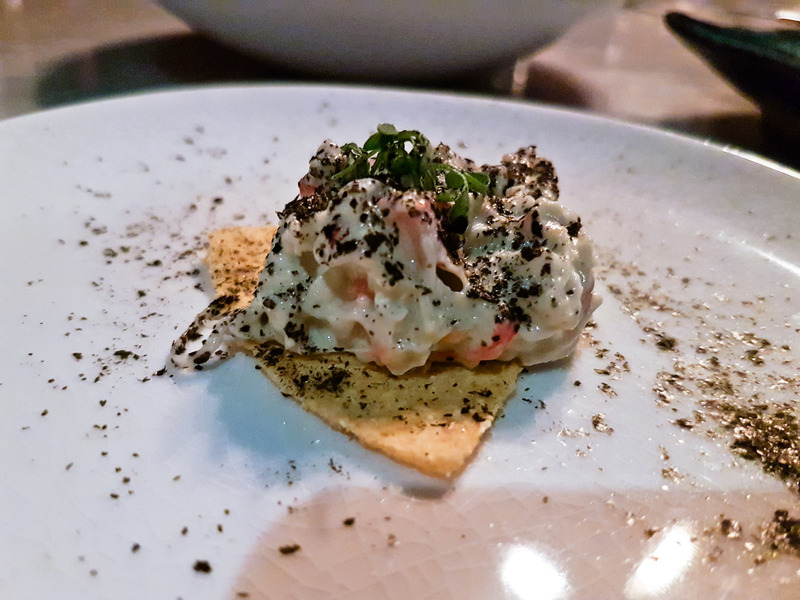 For me this was a standout dish. I love the flavours that reminded me of a red curry. 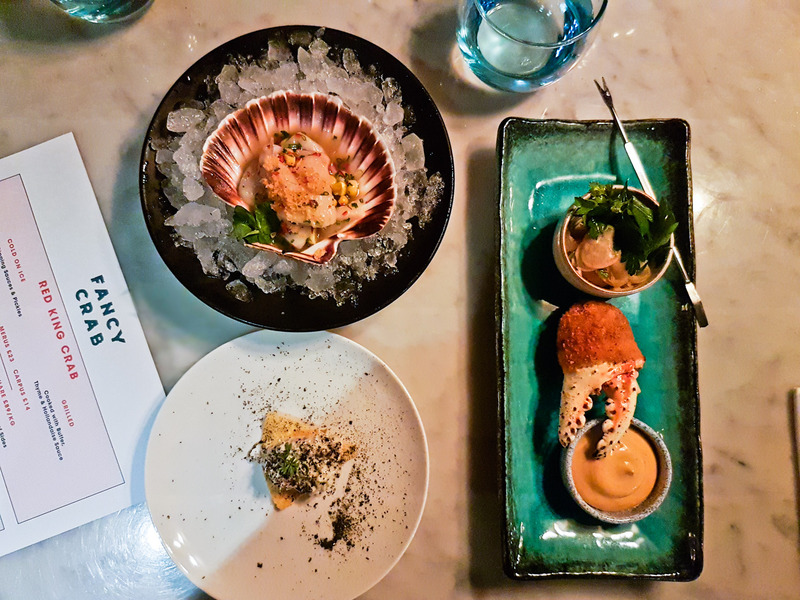 The flavours were sweet, maybe a little bit too sweet, but overall i tasted depth in flavour and there was heat from fresh chillies mixed into the dish. 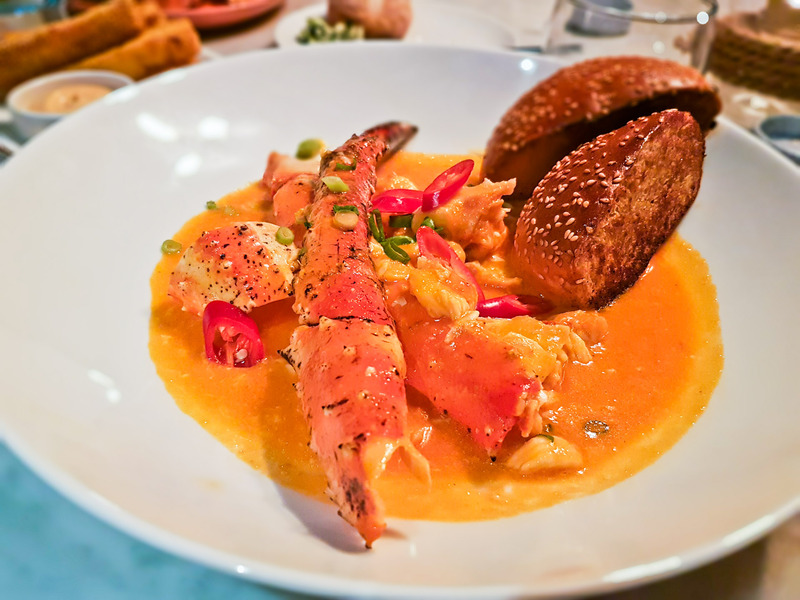 The crab also had a natural sweetness to it and the crab meat had a really nice texture to it. 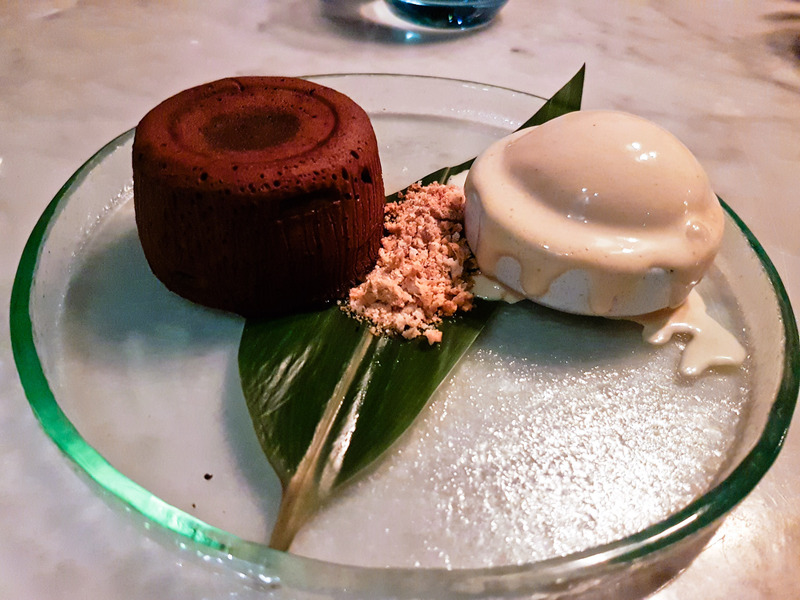 I could taste coconut milk, but the chef swears that the dish is made without any coconut milk! My first proper taste of a juicy bit of crab and i liked it. 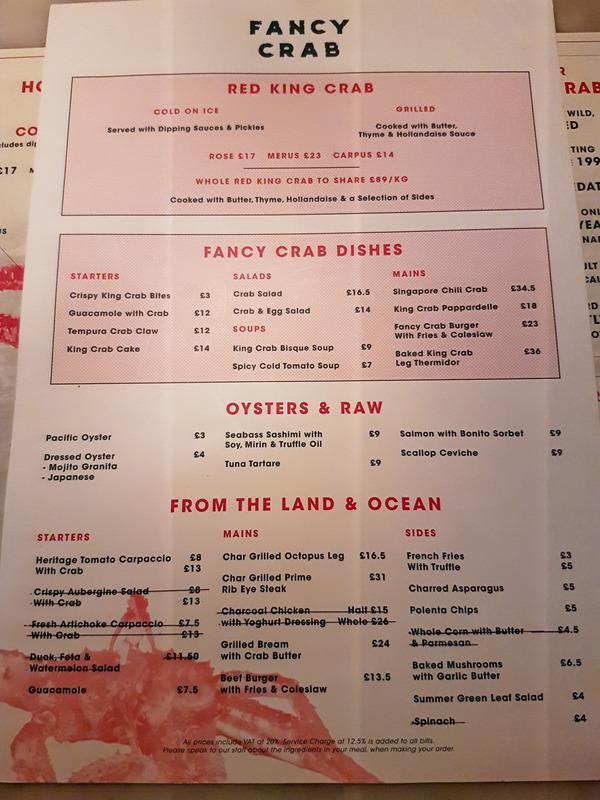 However, at nearly £35 it’s a very expensive dish and if i’m honest, no way I would have ordered this if it wasn’t 50% off, and it’s not enough to share between two. 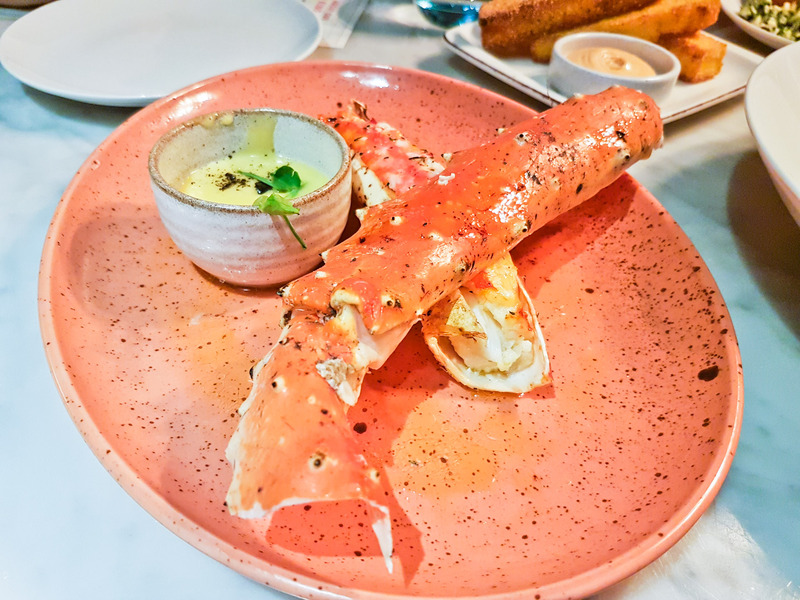 This dish is so you can try and experience pure crab that’s been carved out of the shell so no messy work required. However, it’s a small amount of meat for the money. 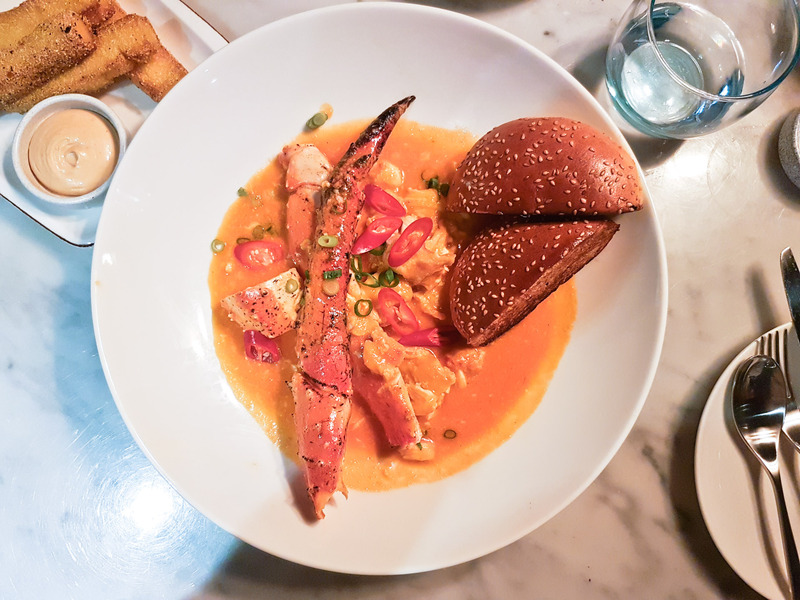 Nevertheless, i really like the taste of crab and definitely prefer it to lobster, crab is softer and sweeter, so naturally, with my sweet tooth, i’m gonna like it. 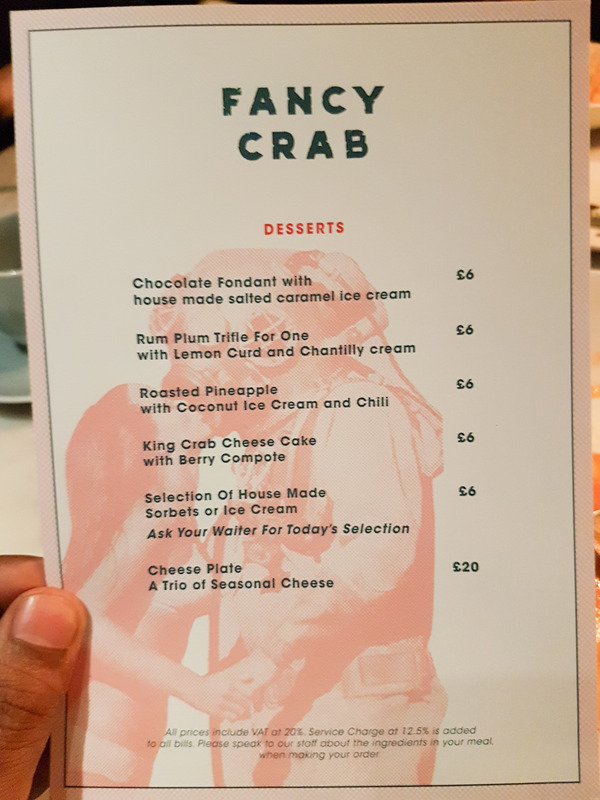 I won’t review the service as it was a soft launch and there were naturally a few hiccups with orders (none affected me), but it was okay, in fact on another note, one of the chefs actually came out of the kitchen and sat with us and explained a few things to us about crabs and the menu in general so that was good. 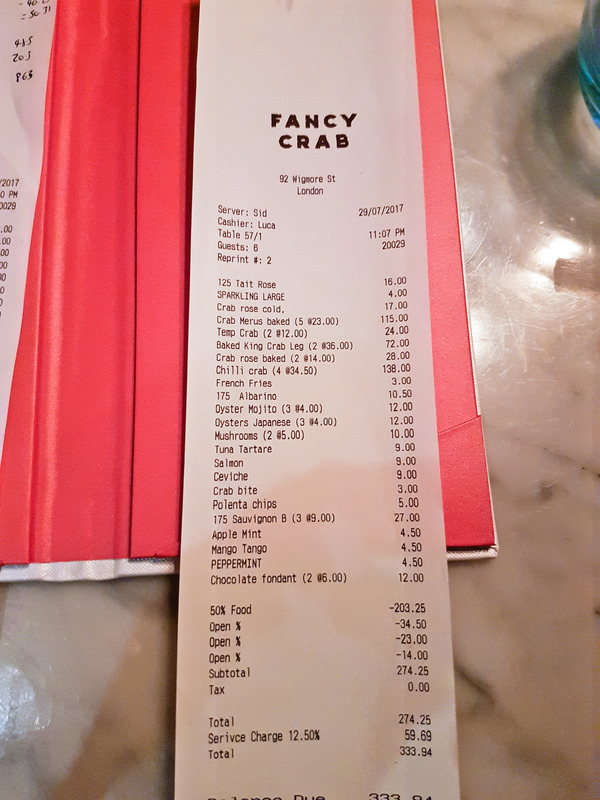 My half of the bill was £60 inc service, I was planning to share and split cost the Singapore crab and grilled merus but once we saw the portion size we ordered more. As I mentioned I only came here because of the discount. Would I come back here and pay full price? No sorry. Oh, the chef also said that the chicken is halal. Also, the steaks come from New Zealand, which means that there’s a high chance of the steaks being halal, but not certified. 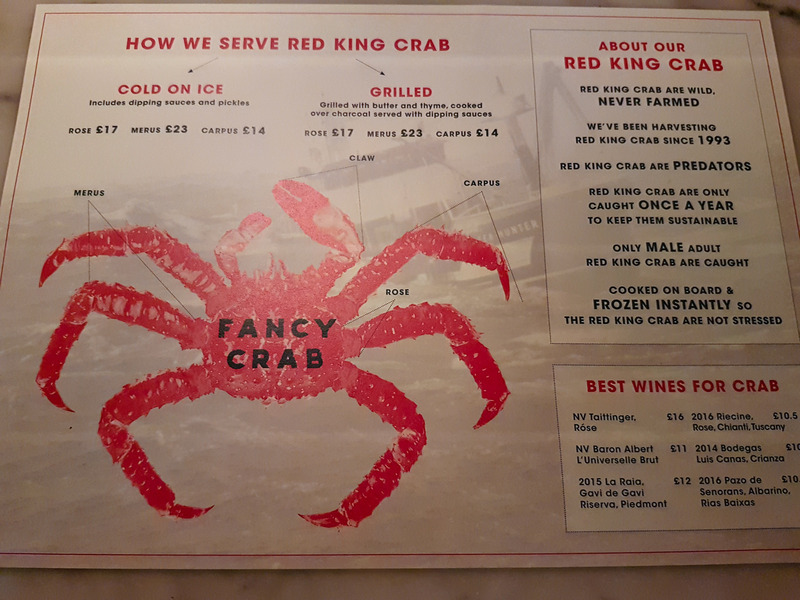 But why would you come to a Crab restaurant and order chicken or a steak?